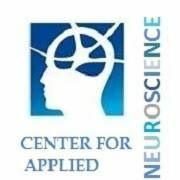 Summer Undergraduate Internship 2019 in the Center for Applied Neuroscience. Comments Off on Summer Undergraduate Internship 2019 in the Center for Applied Neuroscience. 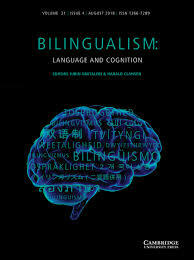 Just accepted for publication in Bilingualism: Language and Cognition. Hope it will be a good read! Antoniou, K., Veenstra, A., Kissine, M., & Katsos, N. (accepted). How does childhood bilingualism and bi-dialectalism affect the interpretation and processing of pragmatic meanings? Bilingualism: Language and Cognition. Comments Off on Just accepted for publication in Bilingualism: Language and Cognition. Hope it will be a good read! Antoniou, K., Veenstra, A., Kissine, M., & Katsos, N. (accepted). How does childhood bilingualism and bi-dialectalism affect the interpretation and processing of pragmatic meanings? Bilingualism: Language and Cognition. Invited talk to be given at the Cyprus Acquisition Team weekly meetings, Department of English Studies, University of Cyprus. Antoniou, K. (2018). Pragmatic and executive control skills of bilingual and bi-dialectal children from different sociolinguistic contexts. Invited talk to be given at the Cyprus Acquisition Team weekly meetings, University of Cyprus. Comments Off on Invited talk to be given at the Cyprus Acquisition Team weekly meetings, Department of English Studies, University of Cyprus. Antoniou, K. (2018). Pragmatic and executive control skills of bilingual and bi-dialectal children from different sociolinguistic contexts. Invited talk to be given at the Cyprus Acquisition Team weekly meetings, University of Cyprus. Poster to be presented at the 8th Annual Conference of the Center for Applied Neuroscience, University of Cyprus. Antoniou K. & Spanoudis. G. (2018). Inside the bi-ialectal mind and brain: An electrophysiological study on executive functions. Poster to be presented at the 8th Annual Conference of the Center for Applied Neuroscience, Nicosia, University of Cyprus. Comments Off on Poster to be presented at the 8th Annual Conference of the Center for Applied Neuroscience, University of Cyprus. Antoniou K. & Spanoudis. G. (2018). Inside the bi-ialectal mind and brain: An electrophysiological study on executive functions. Poster to be presented at the 8th Annual Conference of the Center for Applied Neuroscience, Nicosia, University of Cyprus. European Researcher’s Night 2018. Be there. We will be in Limassol! Comments Off on European Researcher’s Night 2018. Be there. We will be in Limassol! “Multilingual implicature”. Enjoy! Antoniou, K. (to appear). Multilingual pragmatics: Implicature comprehension in adult L2 learners and multilingual children. In Naoko Taguchi (Ed.) The Routledge Handbook of Pragmatics and Second Language Acquisition. Comments Off on “Multilingual implicature”. Enjoy! Antoniou, K. (to appear). Multilingual pragmatics: Implicature comprehension in adult L2 learners and multilingual children. In Naoko Taguchi (Ed.) The Routledge Handbook of Pragmatics and Second Language Acquisition. Two-year Marie Skłodowska-Curie individual fellowship awarded by the European Commission. Thank you Europe! Comments Off on Two-year Marie Skłodowska-Curie individual fellowship awarded by the European Commission. Thank you Europe! Paper to appear in the Proceedings of the 42nd Annual Boston University Conference on Language development. Antoniou, K., Veenstra, A., Kissine, M., Katsos, N. (to appear). The Impact of Childhood Bilingualism and Bi-dialectalism on Pragmatic Interpretation and Processing. In Proceedings of the 42nd Annual Boston University Conference on Language Development. Comments Off on Paper to appear in the Proceedings of the 42nd Annual Boston University Conference on Language development. Antoniou, K., Veenstra, A., Kissine, M., Katsos, N. (to appear). The Impact of Childhood Bilingualism and Bi-dialectalism on Pragmatic Interpretation and Processing. In Proceedings of the 42nd Annual Boston University Conference on Language Development. Paper accepted for publication in the Journal of Experimental Psychology: Learning, Memory, and Cognition. Veenstra, A., Antoniou, K., Katsos, N., & Kissine, M. (accepted). Resisting attraction: Individual differences in executive control are associated with subject-verb agreement errors in production. Journal of Experimental Psychology: Learning, Memory, and Cognition. Comments Off on Paper accepted for publication in the Journal of Experimental Psychology: Learning, Memory, and Cognition. Veenstra, A., Antoniou, K., Katsos, N., & Kissine, M. (accepted). Resisting attraction: Individual differences in executive control are associated with subject-verb agreement errors in production. Journal of Experimental Psychology: Learning, Memory, and Cognition. Paper accepted for publication in the Journal of Memory and Language. Deliens, G., Antoniou, K., Clin, E., Ostashchenko, E., & Kissine, M. (in press). Context, facial expression and prosody in irony processing. Journal of Memory and Language. Comments Off on Paper accepted for publication in the Journal of Memory and Language. Deliens, G., Antoniou, K., Clin, E., Ostashchenko, E., & Kissine, M. (in press). Context, facial expression and prosody in irony processing. Journal of Memory and Language. Paper published in the Journal of Pragmatics. Deliens, G., Antoniou, K. & Kissine, M. (2017). “Perspective-taking and frugal strategies: evidence from sarcasm detection”. Journal of Pragmatics. Comments Off on Paper published in the Journal of Pragmatics. Deliens, G., Antoniou, K. & Kissine, M. (2017). “Perspective-taking and frugal strategies: evidence from sarcasm detection”. Journal of Pragmatics. Abstract accepted for poster presentation at the Boston University Conference on Language Development. Veenstra, A., Antoniou, K., Katsos, N., & Kissine, M. (2016). “Resisting attraction: The role of executive control in monolingual and bilingual children”. Comments Off on Abstract accepted for poster presentation at the Boston University Conference on Language Development. Veenstra, A., Antoniou, K., Katsos, N., & Kissine, M. (2016). “Resisting attraction: The role of executive control in monolingual and bilingual children”. Paper on the effect of childhood bilectalism and multilingualism on pragmatic understanding is currently in press in “Applied Psycholinguistics”. Comments Off on Paper on the effect of childhood bilectalism and multilingualism on pragmatic understanding is currently in press in “Applied Psycholinguistics”. 37th Annual Meeting of the Department of Linguistics, School of Philology, Aristotle University of Thessaloniki. Comments Off on 37th Annual Meeting of the Department of Linguistics, School of Philology, Aristotle University of Thessaloniki. Paper on the effect of childhood bilectalism and multilingualism on executive control published in “Cognition”. Comments Off on Paper on the effect of childhood bilectalism and multilingualism on executive control published in “Cognition”. Paper on scalar implicatures published in the “Journal of Pragmatics”. Comments Off on Paper on scalar implicatures published in the “Journal of Pragmatics”. One-year postdoctoral fellowship awarded by the Wiener-Anspach foundation in Belgium to investigate the pragmatic and cognitive development of bilingual children with autism. Comments Off on One-year postdoctoral fellowship awarded by the Wiener-Anspach foundation in Belgium to investigate the pragmatic and cognitive development of bilingual children with autism. The secrets of learning a new language. Just in case you were wondering! What does a dialect do to your brain?